I’ve been encouraging spearos to dive safer since 2009. Over the years, I’ve heard a lot of arguments against safe freediving practices. Let’s list a few. You can’t hunt in buddy teams. The buddy would scare the fish. This is my area and all these fish belong to me. I know my limits and don’t push myself. The buddy would spook the fish. Having a buddy would cause more problems than diving by myself. I’ve been diving this way for 20 years and never had a problem. The other guys that diving unsafely, not I. I come up at my first contraction. I stay on the surface twice as long as my bottom time. I’m in tune with my body and don’t push it. Ninety percent of blackouts happen at the surface. The diver surfaces. Maybe he/she looks 100% fine, takes 2-3 breaths, and then blacks out. 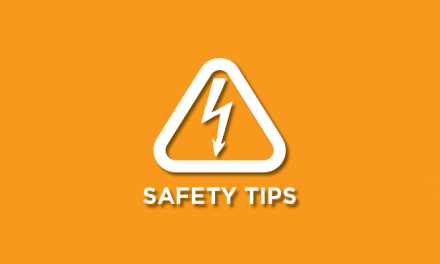 A person having a blackout will not yell, wave his or her hands and ask for help. Once the diver blacks out, his or her face will fall into the water. If the person is over-weighted, which is common among spearos, the diver will then sink to the bottom of the ocean. Not good. If you came up from a dive, took 2-3 breaths and started to blackout and sink to the bottom of the ocean, what would happen? Is your buddy next to you, close enough to grab you every time you surface, or is your buddy 100 feet down the reef looking for grouper? If you’ve taken the time to read this much of the article, please watch this video: https://vimeo.com/7575835. This is of a real spearfisherman blacking out on the way to the surface. Notice how he didn’t ask for help? Most of the time, divers never feel the blackout coming. Therefore, the notion that a buddy is unnecessary once a diver knows his limits and is in tune with his body doesn’t hold up in the real world. Spearos die out there every year, every month. I counted three issues of Spearing Magazine in a row that featured memorials on the last page. Jeromy stopped printing them, but not because spearos suddenly stopped dying out there. 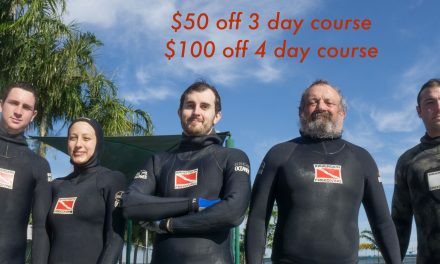 If you want to dive safer but don’t have time, money or interest in taking any one of the many freediving classes out there offered by me, PFI or FII, at least do this: Dive in a buddy team – one up/one down. When your buddy hits the surface, be close enough to grab them and watch for no less than 30 seconds. Then you dive and she or he watches you when you hit the surface. If you see someone blackout and you are right next to them, you can fix it. If they are 100 feet away from you, you can’t fix it. Keep their mouth and nose from going in the water. Place them on their back, and if they are over weighted, drop their belt. Take their mask off and calmly encourage them to breathe. 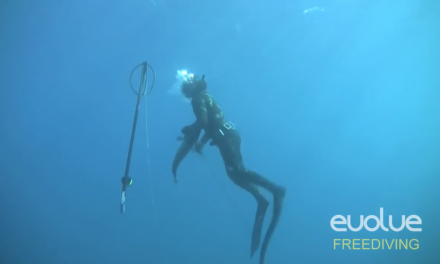 Freediving classes explore these life-saving techniques in depth. Diving in a team allows your buddy to get a second shot at the fish you shot poorly. When you come up from a dive, you can tell your buddy where the grouper was at the end of your last dive that you couldn’t reach. When your fish is rocked up, your buddy can immediately pursue the wounded fish as opposed to you having to wait until you’re ready to dive again, helping avoid a payment to the tax man. If you enjoyed this article, stop by the Immersion Freediving Facebook page and let me know what you thought.